– Downplaying the environment, epigenetics may reinforce the nature/nurture divide it is set to challenge, CAS fellow Professor Gisli Palsson argues as he publishes the book "Can science resolve the nature/nurture debate?". 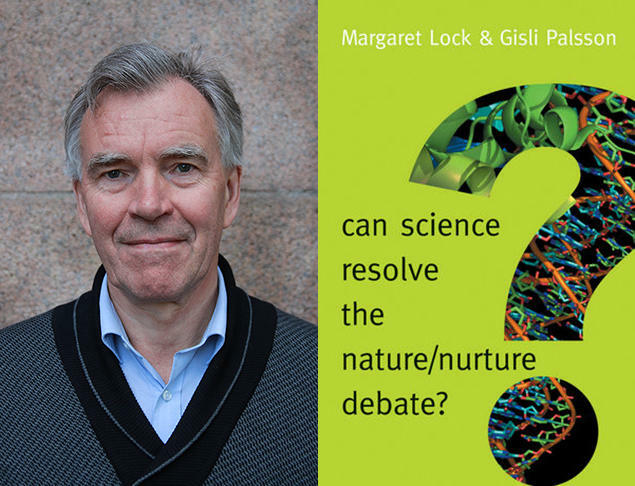 New book by CAS fellow Gisli Palsson and Margaret Lock: Can science resolve the nature/nurture debate? After centuries of debate about what determine human differences and abilities, the discovery of DNA established an idea that genes (nature) determine who we are, degrading the environment (nurture) or relegating it to superfluous effects. In the newly published book Can Science Resolve the Nature / Nurture Debate? anthropologists Gisli Palsson and Margaret Lock outline arguments in the nature/nurture debate from Classical times to more recent epigenetics. Palsson says that anthropology has for a long time straddled along several divides, including those of the body, environment, and scientific practice. - This makes the recent but rapidly growing subject of epigenetics particularly appealing and rewarding for anthropologists, he says, describing epigenetics as the study of ways in which environmental influence may reprogram inheritance. Epigenetic can go several ways, he says, and describes the current epigenetic practice as focused on what happens within the body and the cell. The social is more or less neglected. This means that epigenetics today is typically black-boxing the environment, he argues. - While this has its usefulness, in effect it may reinforce the nature/nurture divide it is set to challenge. In that respect, anthropology has a lot to offer this debate, he says. - In order to address inequality, injustice and the marginalisation of certain social groups, we argue that epigenetics would have to meaningfully introduce the social and environmental into its analyses. In their book, Palsson and Lock want to show how these concepts constantly change with new scientific insights. Thus, the nature/nurture debate is never-ending.